We welcome you to ask your questions and share your answers with other shoppers. 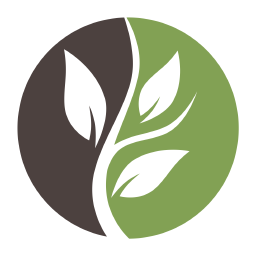 HumicGreen staff will answer questions here as applicable. If you have questions you wish to submit to our staff, please email us at [email protected] and we will be happy to assist you. Do I need to work or turn the soil to apply ClayMend or can I just spray it on? You do not have to work the soil when applying ClayMend, however, working ClayMend into the soil will accelerate the restructuring process. When applying ClayMend where you don’t work it into the soil you may consider applying a few frequent applications (every 5 or 6 weeks) to help accelerate the restructuring process maybe for the first year, then every couple of months as the soil improves eventually just a couple of times per year (typically spring and fall). Can I spray ClayMend on plants? ClayMend can be applied where plants are growing including lawns. Since ClayMend works in the soil even though it won’t harm your plants you will want to make sure your rinse it off of your plant to get the solution into the soil so it can improve the soil. How often do I need to apply ClayMend and for how long? When irrigation water is high in salt as one might expect from well water or reservoir water you will want to use ClayMend every 6 weeks. Just one application of ClayMend will result in some improvement of your soil. However you will get better results in plant growth with multiple applications. Where clay is extremely compacted and where the soil can be worked we recommend a heavy initial application of ClayMend, maybe 2 or 3 times normal, and then 5 or 6 times throughout the first and every couple of months the second year. After you notice significant improvement in your clay a spring and fall application should suffice. Where clay is extremely compacted but existing plants restrict your ability to work ClayMend into the soil we recommend an application every 6 weeks for your first year. The following year we recommend every two months and after that twice a year. Is ClayMend safe to use around Pets? ClayMend is safe to use in areas where pets will be when used as directed. We recommend treating ClayMend as you would other fertilizer products keeping pets away while applying it. 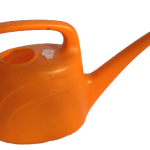 Since the product does not have any benefit until it is in the soil just make sure that you water it in wherever you use it and after that you can let your pets on those areas. ClayMend can be used around water features such as ponds with fish and other aquatic creatures. It contains naturally occurring organic acids that occur in soil including the soil around the water. The microbial population that ClayMend encourages is aerobic so any residual microbes that may result in the population expansion and end up in the water would perish from the anaerobic environment of the water. As always, exercise good judgment when applying ClayMend by reducing water flow of the applicator around the water feature so that the soil amendment gets into the soil where it is beneficial and over spray is at a minimum. We recommend keeping a border of a foot or two from the edge of the feature. Over time the microbes in those areas should migrate to the untreated border. What are the ingredients in ClayMend? ClayMend is a soil amendment designed to improve clay soil using a proprietary blend of naturally occurring organic acids and soil microbes with a little nitrogen and sulfur. Can I use PetiGreen and ClayMend at the same time? Yes, you can mix PetiGreen and ClayMend together in the applicator bottle at the same time but you must use all that you mix at the time you mix them. Do not dilute or mix products together and try to store them as the microbes may become active and react in the storage container and may leak or break the container. Do not mix any HumicGreen products with other brands of products. How do I apply ClayMend? 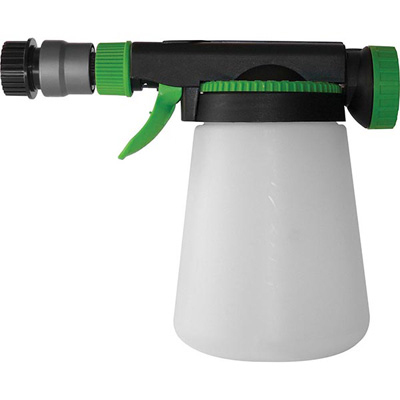 Apply ClayMend with a hose end applicator that is designed for liquids. Unlike many fertilizers, herbicides, pesticides, etc. ClayMend does not rely in a ratio of product to water but instead is based on ounces of product per square feet of lawn regardless of how much water is used. We are only using the additional water as a carrier to give you more time to get the product out of the applicator and applied evenly to the area. An example of a normal application covering 2400 sq. ft. would typically be to use 7 ounces of product and add some water to the product in the applicator. You could add 12 ounces of water or 20 ounces of water and it would not make a difference as long as you make sure it is all applied evenly over the 2400 sq. ft. area so that all 7 ounces of product are applied to the lawn. 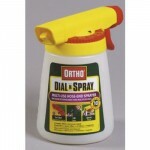 What type of Applicator should I use? 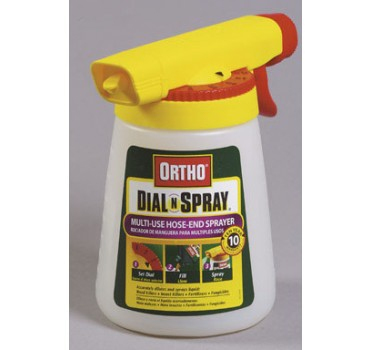 Use a hose-end sprayer or for smaller area you can use a watering can. Will ClayMend harm grass seed or new grass growth? ClayMend will help improve the soil and the microbial population so that grass seed will have an easier time germinating and the new glass will have an easier time establishing new roots. We recommend applying ClayMend before putting new seed down simply so you don’t wash the new seed away. How is ClayMend different than fertilizer? ClayMend works to improve the environment of your soil so that it can process and store fertilizer into a form that your plants use. ClayMend is used with fertilizer not instead of fertilizer. Fertilizer is the food your plants need but it does nothing to improve your soil or improve the ability of your soil to process it for storage consumption by your plants. You might think of it like how you would eat a walnut. A walnut is a food you can enjoy but you can only eat it when you crack open the shell to get to the nut. ClayMend works in a similar way of cracking the shell of fertilizer so the plant can get to the nutrients they need. Will PetiGreen Benefit My Lawn Even If I Don’t Have Pets? Even for people who don’t have pets PetiGreen is a great soil amendment for your lawn. We like to think of PetiGreen as an amendment for lawns that has the side effect of preventing pet urine spots over time. Whether there is a pet in the picture or not, the same benefit occurs in improving the health of your lawn by improving the environment in the soil so that beneficial microbes can flourish. This helps improve the efficiency of fertilizer so you can typically cut the amount of fertilizer you use in half. In addition PetiGreen helps naturally aerate the soil. It will also help process excess nitrogen that may have built up over the years that negatively impacts the growth of your lawn and make that nitrogen more available to the lawn. Not only is PetiGreen is environmentally friendly, it promotes the environment of the soil with true organic activity in the soil that helps in the reduction of fertilizer pollution and the conservation of water. PetiGreen is made up of a proprietary blend of naturally occurring components that build the health and fertility of the soil. Healthy soil is more efficient at metabolizing dog urine. Fertilizer pollution is an escalating problem in our world and by working with Mother Nature our products build the health and productivity of the soil naturally, we call it being “Powered By Mother Nature”. Products developed with mother natures own systems are beneficial to the environment as well as safe for your family and pets. Will PetiGreen protect my grass from urine if I have more than one dog? Yes, although you may need to apply PetiGreen more frequently. It takes time before the microbes can prevent spots from forming but after a few months if you notice new spots are forming but are much smaller, you might adjust your schedule to every 5 weeks. How often will I need to apply PetiGreen to protect my lawn from dog urine spots? Applying PetiGreen every 6 weeks is adequate for most homeowners. The dog keeps peeing on the lawn every day and it is important to keep on the 6 week schedule to build up protection and then to keep the lawn protected. If damage to your lawn is severe and it is within your budget, you can apply PetiGreen every week for the first 6 weeks to help accelerate the recovery of those severely damaged lawns. What can I expect after applying PetiGreen to my lawn? Most customers see improvement in their lawn growth within 2 – 4 months even though they will still be getting pee spots. Over time you’ll notice a reduction in the size of new pee spots and eventually, typically around 4 – 6 months for many lawns and 6 – 12 months for severely damaged lawns, the new pee spots fade away. Even though it takes time for the microbial population to increase large enough to prevent urine spots, they can usually process enough nitrogen from the pee spots in just a few weeks so that new grass seed will germinate. This helps keep your lawn greener while the population grows to the size that it can prevent the dog urine spots from forming. The PetiGreen Routine is an essential the tools that helps to eventually control and prevent dog urine from killing your lawn. Following the PetiGreen Routine natural aeration is improved, organic carbon is built up, fertilizer and water efficiency improves and that results in an even healthier lawn over time. We recommend reading our Getting Started page when starting to treat the dog urine spots in your lawn. Should I put PetiGreen just on the pet urine spots or can I treat my entire lawn? PetiGreen should be applied either to the whole lawn or to the area your dogs use not just the spots. PetiGreen works to improve the soil too the point that it will support a population of microbes that can eventually prevent dog urine spots from forming. Can PetiGreen be used at a heavier than recommended application rate? Yes, you can use up to 10 times the recommended amount of PetiGreen without damaging the lawn. Application rates less the recommended rates will diminish the effectiveness of PetiGreen and are not recommended. Will PetiGreen harm my flowers or other plants? PetiGreen is a unique blend of soil conditioning ingredients optimized to protect your lawn from dog urine spots, but it will also improve the health of all your plants including flowers, vegetables, shrubs and trees. Even though PetiGreen will not harm your plants it works in the soil so if you spray it on your flowers, vegetables, shrubs, trees, etc. 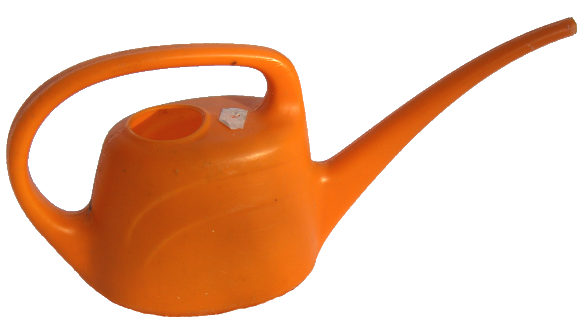 makes sure you rinse it off of the plants so it gets into the soil where it can go to work to improve the soil. How does PetiGreen keep dog urine from killing my lawn? PetiGreen improves the environment of the soil so a larger population of microbes than the soil can normally support can survive. When the population of microbes reaches a large enough size they can process the excess nitrogen from the dog urine more rapidly than the nitrogen can kill the lawn. It takes time to reach a population that will prevent dog urine spots in grass but as you are using PetiGreen and the population is growing it can become big enough in just a few weeks that it can process enough nitrogen from the grass that new seed will usually germinate and start fill in the burn spots. Eventually the soil environment improves and the microbial population increases enough that the nitrogen can be processed before it has a chance to damage the grass. Should I start using PetiGreen before the cold winter weather or wait until spring? PetiGreen should be applied as soon as possible regardless of the time of year, provided the ground is not frozen, so it can start building the microbes in the soil which is ultimately what protects your lawn against pet urine spots. In areas where daytime temperatures are 45° F to 50° F or warmer during the winter it is best to use PetiGreen throughout the year since damage to roots can occur even when the grass is dormant. In colder climates the microbial population will expand until the cold weather hits and then it will go dormant. In the spring that expanded population will come out of dormancy and pick up right where it left off. Then just continue with the program to improve the soil and expand the microbial population even more until your lawn is completely protected from new dog urine spots. Will PetiGreen protect my new sod from dog urine spots? PetiGreen is arguably the BEST soil amendment on the market for helping new lawn get established. It will help improve the underlying soil as well as release soil nutrients and encourage root growth. With all these benefits, until the roots are established into the soil where they are protected from urine they are very susceptible to damage. PetiGreen will help quicken the root establishment process, but we advise trying to remove the dog from the new lawn if possible. Until the roots are well established you will see new urine spots. Here is an article about Dog Urine and New Sod with more information that might be helpful. Should I apply PetiGreen before or after I apply grass seed? Start using PetiGreen about 3 weeks before applying new grass seed. If you have been using PetiGreen for more than 3 weeks and you get new pee spots you can apply grass seed as soon as the new pee spots appear. PetiGreen is a liquid soil amendment designed to improve soil damaged by dog urine using a proprietary blend of naturally occurring organic acids, organic carbon, soil microbes with a little nitrogen and sulfur that work to keep the microbes dormant until PetiGreen is applied to the soil. Will fertilizer affect PetiGreen and the Dog Urine Spots in my lawn? Adding fertilizer to a lawn with dog urine spots can further damage the lawn and will increase the time needed for PetiGreen to control the damaged spots. If possible we recommend NOT adding additional fertilizer to areas the dog uses until the urine spots have stopped and then fertilize at a reduced rate if it is needed at all. PetiGreen increases the soils ability to process nitrogen in pet urine which contains an excessive amount of nitrogen. By adding fertilizer it will increase the amount of nitrogen the microbes in the soil needs to process. It is nitrogen overload that kills the lawn and causes the dog urine spots to form. Lawns that have been heavily fertilizing over the years can also be high in nitrogen. These lawns tend to have more severe urine damage where the dogs go and it can take much, much longer to process all that extra nitrogen before the soil improves enough to protect against new spots. It is best in areas like these to keep the dog off the area if possible, to reseed after applying PetiGreen and letting the new grass get well established. These soils can take months before they come around. When there is an excess of nitrogen added to the soil, even when there are no pets, nitrates can build up and diminish microbial activity which impacts lawn and plant growth. By cutting back on nitrogen use, using it sparingly and only when needed, you can actually achieve a greener, healthier lawn. If you have fertilized already apply PetiGreen as soon as possible so it can start processing the fertilizer and begin to reduce the nitrogen overload in the soil. It takes quite a bit of time for soil microbes to build to a population large enough to prevent new urine spots but as this population is growing a lot of nitrogen can be processed so that new grass seed will grow. You’ll still get new spots but this will help keep your lawn looking greener until the microbes can prevent the new spots altogether. How do I apply PetiGreen? 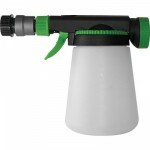 Apply PetiGreen with a hose end applicator that is designed for liquids. Unlike many fertilizers, herbicides, pesticides, etc. PetiGreen does not rely in a ratio of product to water but instead is based on ounces of product per square feet of lawn regardless of how much water is used. We are only using the additional water as a carrier to give you more time to get the product out of the applicator and applied evenly to the area. Do I have to remove the dead grass when reseeding? Generally you do not have to remove the dead grass when reseeding the dead spots. Simply scatter grass seed in the dead spot and make sure it falls through the dead grass and makes contact with the soil. The dead grass will actually shade the new seed reducing the possibility of damage from the sun. If the dead grass is so dense that the seed does not drop through it to make contact with the soil you can fluff it up so the seed will drop through it. Can I put PetiGreen on new sod? Yes, even though it won’t be able to protect the new sod until the roots of the new sod gets established, PetiGreen can help new sod get established more quickly.